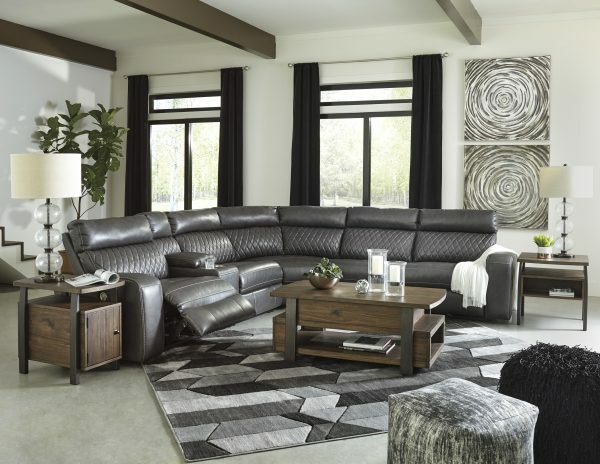 Relax in modern comfort without giving up your sense of transitional style with the Samperstone 6-piece power reclining sectional. 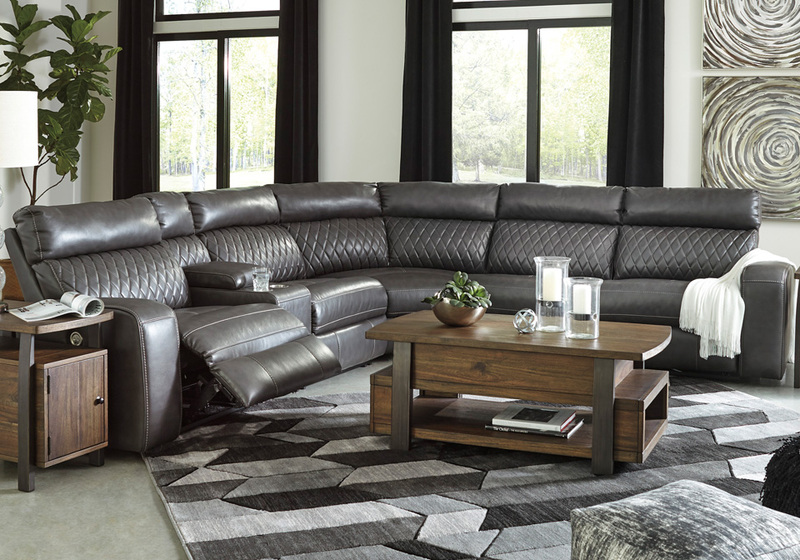 This space saving piece only needs to be 3″ away from your wall, while details such as quilted stitching adds a classic and cozy look to the sofa. Both power reclining panels for the right and left side seat feature a USB port, seamlessly providing a charging spot for your electronic items. *The 6Pc. sectional consists of a RAF zero-wall power recliner, an armless recliner, a LAF zero-wall power recliner, an armless chair, a storage console, and a wedge.